Green & Black's decision to drop the Fairtrade Foundation's certification for its new product raises questions about consumer ethics, corporates and brand purpose, Becky Willan argues. 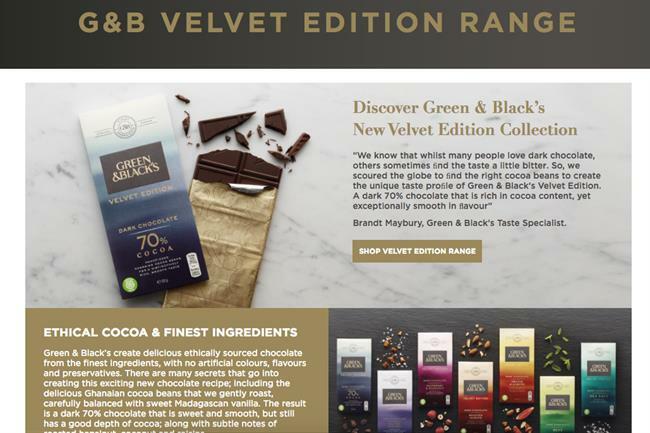 Green & Black’s raised eyebrows recently by unveiling its first product without the Fairtrade logo. The brand, a Fairtrade pioneer, is now using its own verification scheme, Cocoa Life, developed by parent company Mondelez in partnership with the Fairtrade Foundation. The story made BBC News online and has been picked up across mainstream media. There are lots of questions about the credibility of this new label, the future of Fairtrade and the issue of self-regulation in large corporations. However, the big question is: why do we care? This is a story about supply-chain management that has instantly become national news. We would put it down to three things. First, Fairtrade has become a brilliant brand shortcut for customers. As a brand, it is reported to score above 90% for recognition among UK consumers. The concept behind Fairtrade is actually pretty complex – a mixture of philosophical agreement and structural regulation. The brand helps customers navigate that complexity, and has become a shortcut for customers, who range from knowledgeable advocates to those who want to feel "a bit better" about their choices. Fairtrade has enabled popular consumer brands such as Green & Black’s to establish their proposition with confidence and deliver it with substance. Fairtrade will never trump taste, price or quality in highly competitive categories such as confectionary or coffee but, where there is parity, it helps people make decisions. Some commentators have shared a concern that this move will confuse customers, but it also tells us that Mondelez clearly doesn’t believe that the Fairtrade brand is the only way of creating that shortcut. It’s a challenge to the Fairtrade brand and a signal for how brands might elevate their ethical commitments in the future. Second, we care about corporations. Ten years ago, how much would we have known or cared about the business behind the brand? Today, people are beginning to make choices based on how they view corporations and the way they operate. Large FMCG businesses have made a conscious effort to build their corporate brands and, as a result, we have started to care. At their worst, consumers see corporate brands as the bean counters behind the decision to shrink their favourite snack, or as corrupting the brands they grew up with. The Mondelez (then Kraft) takeover of Cadbury was a clear example of how this can play out with consumers. The new Green & Black’s certification has been designed in partnership with the Fairtrade Foundation, so will undoubtedly benefit farmers. Yet we are suspicious. By bringing this programme in-house, the concern is that, as a profit-hungry corporate, Mondelez will be regulating itself. What does this say about the Mondelez brand? I believe the story would have been reported differently had it been Unilever that was involved, which, under Paul Polman’s leadership, has a much more clearly expressed commitment to better business practice. Third, brand purpose matters. The integrity of a brand such as Green & Black’s really matters to consumers. This is a brand that people care about, and when you "tinker" with a core element of the proposition, it unnerves consumers, who buy into the brand at many different levels. The fact that this move has also coincided with switching to non-organic cocoa is also important. While the Fairtrade move points to a question about Green & Black’s values and commitment to sustainability, "organic" speaks directly to quality. Some consumers will see this as an attack on two of the three founding principles of the brand: great taste, high quality and commitment to sustainability. Mondelez and the Fairtrade Foundation have positioned the Cocoa Life programme as bringing significantly more clout and scale to their sustainable cocoa sourcing. Notably, the concerns being raised seem to be focused more on the move creating confusion among customers, rather than the programme itself. Over the past 20 years, the Fairtrade Foundation has transformed how brands and consumers think about where their products come from and who made them. But this move (and the recent change by Sainsbury’s to adopt "fairly traded") raises questions about the future of the Fairtrade brand. I’m not sure that Mondelez have got it 100% right with Cocoa Life, but surely brands taking more ownership of their sourcing, and communicating the benefits to consumers, must be a good thing. After all, they’ve got the insight, creativity and budgets that organisations such as the Fairtrade Foundation could only dream of – and with that comes the potential to drive huge positive change in consumer behaviour.